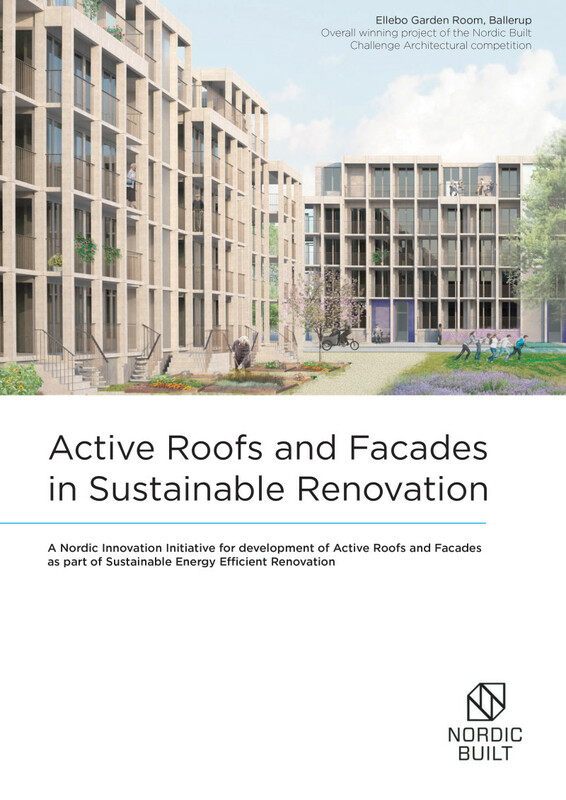 Here you will find resources within the project that are either used in or produced as a part of the Nordic Built Active Roofs and Facades-project. 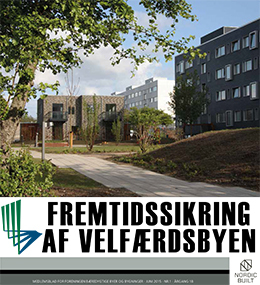 Please find the theme magazine about the Nordic Built and Active Roofs and Facades from Foreningen Bæredygtige Byer og Bygninger (FBBB) here. Nordic Built is central in developing the postwar industrialised housing from the 60’ies and 70’ies. The magazine presents Ellebo Garden Room, which won the Nordic Built Challenge competiton in 2013. Ellebo Garden Room is mirrored by a number of large renovation projects from different parts of Denmark. An important topic in Nordic Built is: Performance Documentation. It isdiscussed in three articles, on Active House Principles, Sustainable Renovation in Malmö and Life Cycle Assessment for Building Renovations. The magazine is published as a part of the dissemination of Nordic Built Active Roofs and Facades. 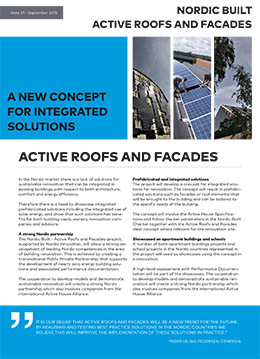 Please find a fact sheet about the Nordic Built Active Roofs and Facades project here (pdf). Read an e-book about the project here. Read the Nordic Built Charter here (pdf).